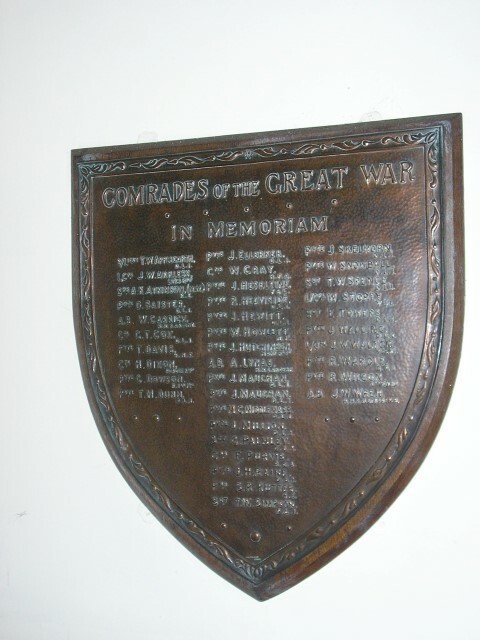 The memorial plaque takes the form of a wall mounted tablet and commemorates the 37 Evenwood men who fell in the Great War. 2/Lt. T. W. Applegarth D.L.I. L/C J.W. Arkless Lincs Regt. Sapper A.K. Atkinson MM R.E.